The Indian retail market has evolved rapidly over the last two decades. It continues to change rapidly, and with mobile-apps based models, brands are closer than ever to their customers. Mobile apps have made the lives of people from all walks of lives easier. They are extremely appealing for retailers and consumers alike as they are easy to use and highly convenient. This has slowly but surely changed the way we shop and made a huge change in the expectations of a consumer from a brand. 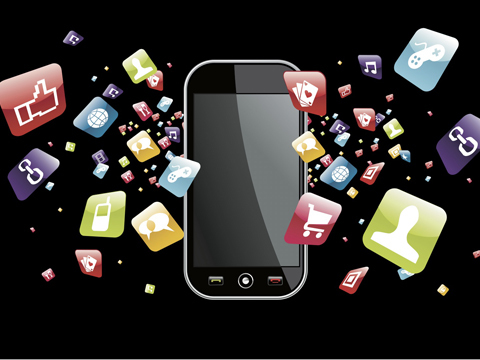 With mobile applications, interacting with brands is simpler than ever. All it takes is a tap on your phone! Earlier brand interaction would begin only when a consumer visited a store or a mall. With mobile applications the time lag between wanting a brand to experiencing it has reduced considerably. The advantage is that spontaneous purchases are much faster and more in number as compared to the offline model. On the contrary, the flip side is that brand managers have to be continuously on their toes due to this. With mobile apps, the time taken by a consumer to decide whether he wants to buy a particular branded product has reduced considerably. All the details needed to make the decision that are required to make the decision are pretty much there on the mobile application, thus it helps consumers to make the judgments regarding the product purchase. The same brands, which earlier took hours in searching, then trying and deciding can now be accessed on a mobile phone and delivered to a consumer’s doorstep once ordered. If they do not like what they see, the product can easily be replaced. Consumers are now willing to try new and unheard brands without seeing them or examining them in a store. With a lot of start-ups coming up, some retailers and brands being mobile first or available only online, there are a lot of brands which are of good quality, reasonably priced and not available elsewhere. Travelers today are willing to try out new hotels and restaurants if it they are registered on reputed sites like Zomato, Tripadvisor, Expedia etc. With all possible customer data at their disposal, mobile apps are in a better position to tap into customers by offering them just what they are looking. It also provides an opportunity to engage with customers on a regular basis and build a long term relationship with them. This article has been authored by Ashish Jhalani, Founder, e-Tailing India.